Size of this PNG preview of this SVG file: 600 × 600 pixels. Other resolutions: 240 × 240 pixels | 480 × 480 pixels | 768 × 768 pixels | 1,024 × 1,024 pixels | 650 × 650 pixels. 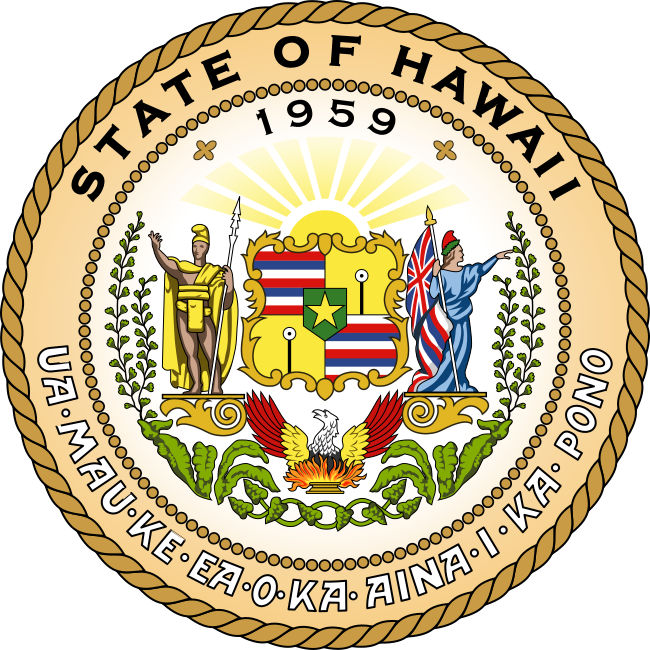 English: The Great Seal of the State of Hawaii, in use from 1959 to the present day. 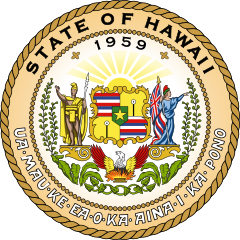 Original design approved by Sanford B. Dole, the President of the Republic of Hawaii. Altered in 1901 to represent the change in status from republic to territory. Altered again in 1959 when the Legislature passed Act 272 (Regular Session of 1959).